Hanging Retail Display Cases provide cost-effective solutions for retailers in need of both flexible and durable packaging. 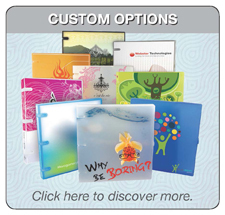 You can easily customize these stock display pockets with your own graphics to fit your store’s needs. 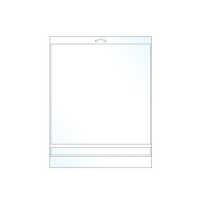 Instantly display EnvyPak™ brand retail pockets with built in hang tab allowing you to position your product fitting most standard retail fixtures. 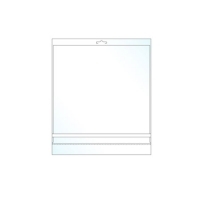 The Retail Display Cases are crystal clear, reseal-able and durable. The self-adhesive closure on the bottom of each pocket allows you to insert and secure your product for quick and easy assembly. Hanging Retail Display Pockets provide cost-effective solutions for retailers in need of both flexible and durable packaging. As low as $0.223 per pocket!